Accommodation is one of the biggest fixed costs travelers have and reducing that cost can lead to big savings. I am sure many backpackers would sleep in a barn if it was the cheapest accommodation they could find. And staying in hostels is one of the best things about backpacking. 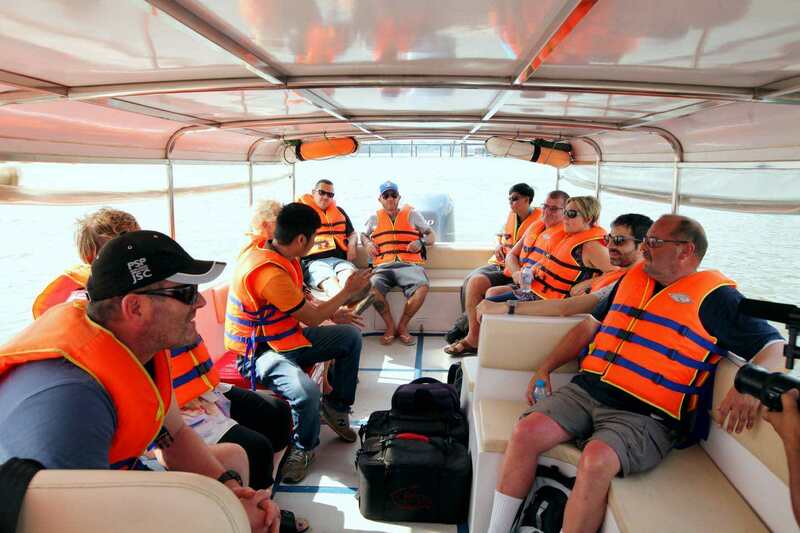 You will meet loads of new people and share experiences that you’d never get to try if you were traveling alone. Hostels often have all sorts of cool facilities. Oh, and they’re cheap as chips. 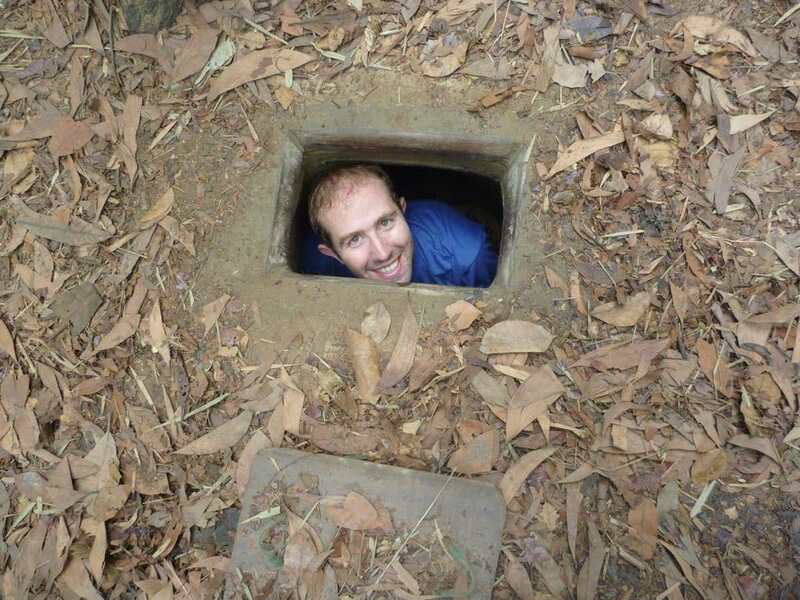 However, I understand that your first time in a hostel can be quite a daunting, I’ve put together this article introducing the best hostels in Ho Chi Minh City to help you allay your fears, so you can get on with having fun. 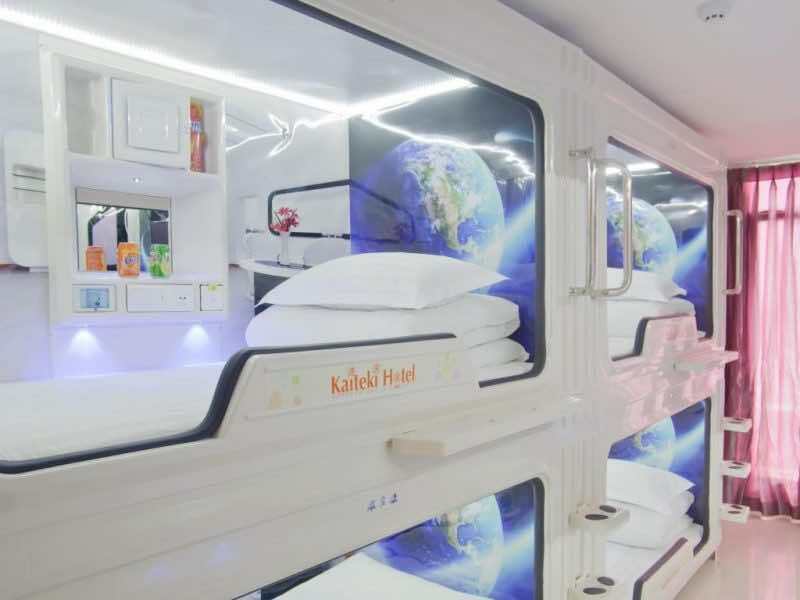 Hong Kong Kaiteki hotel is the first kind of capsule hotel in Vietnam. 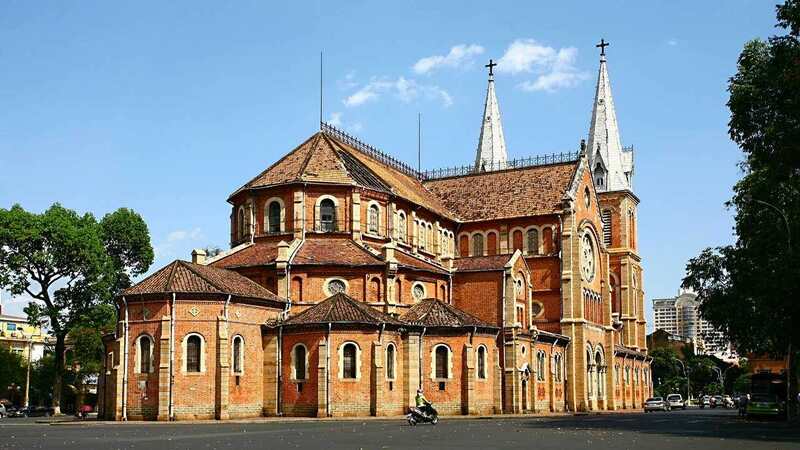 It is located in the most popular street of Ho Chi Minh City named Pham Ngu Lao. 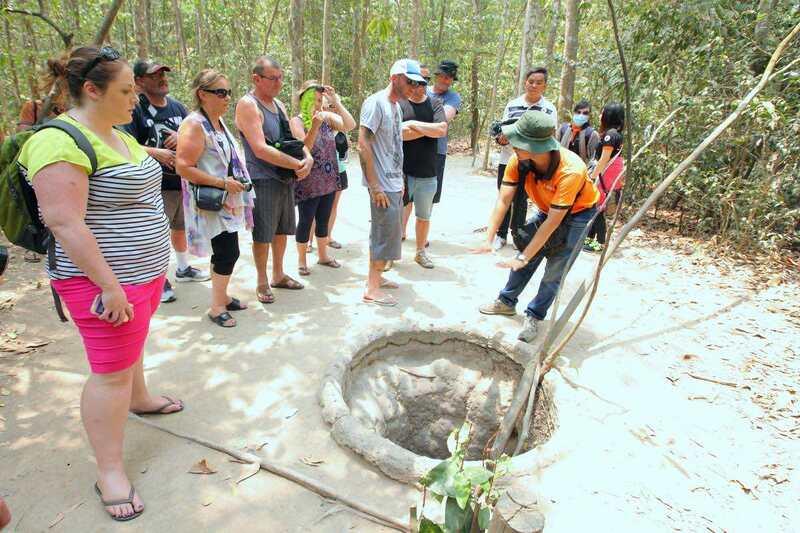 Tourists think this is the best place for them to have a closer look at Vietnam. It is a cheap and advanced hotel for backpackers. This kind of hotel is now popular in Japan and Hong Kong to save space and provide habitat for human being as people get more and more, space get more and more expensive. Each capsule is big enough for one person to sleep inside, and a high quality bathroom is available. There are two mattresses in one bed making it solf enough. Ear plug stops any noise from outside. Curtains are equipped to cut off unwanted light. Small air conditioner let you stay in the right temperature. Moreover, TV, USB, wifi and earphone are ready to support your entertainment. Add: 22 Bui Vien, Pham Ngu Lao Ward, District 1, HCMC. 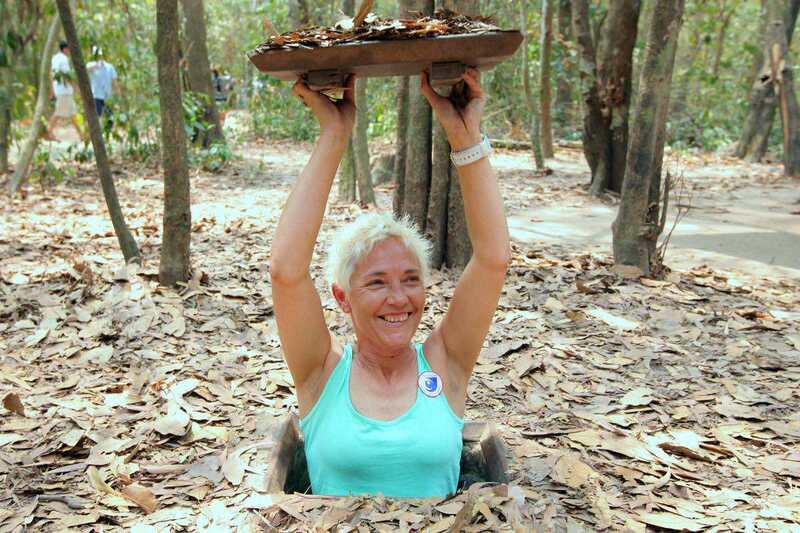 Actually, Saigon has been slow to pick up the changes sweeping accommodations the world over. If you are travelers who are seeking earthier and less formal accommodation experiences, you should opt for The Common Room Project. It is more likely to stay in somebody’s home than in a hotel. When it comes to this hostel, you can meet the comfort that hotels offer and the social elements of what a hostel provide. The communal kitchen is available for travelers to get their own breakfast and do their own cooking. Private rooms are nicely done with a comfortable size. 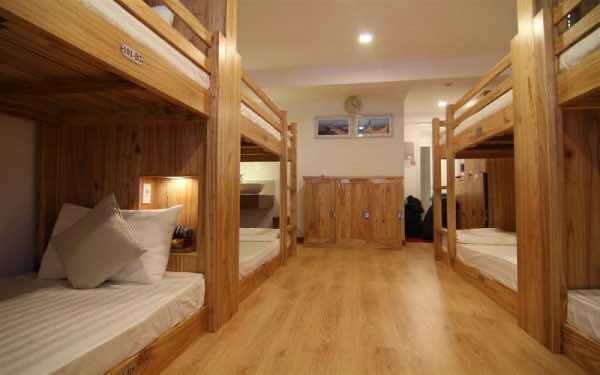 Visitors can think of dorms including 14 beds if they are in groups. Add: 80/8 Nguyen Trai Street, District 5, HCMC. Hospitality and customer service sets Long Hostel apart from other budget joints in the city and staying here is more like staying with extended family than in a hotel. 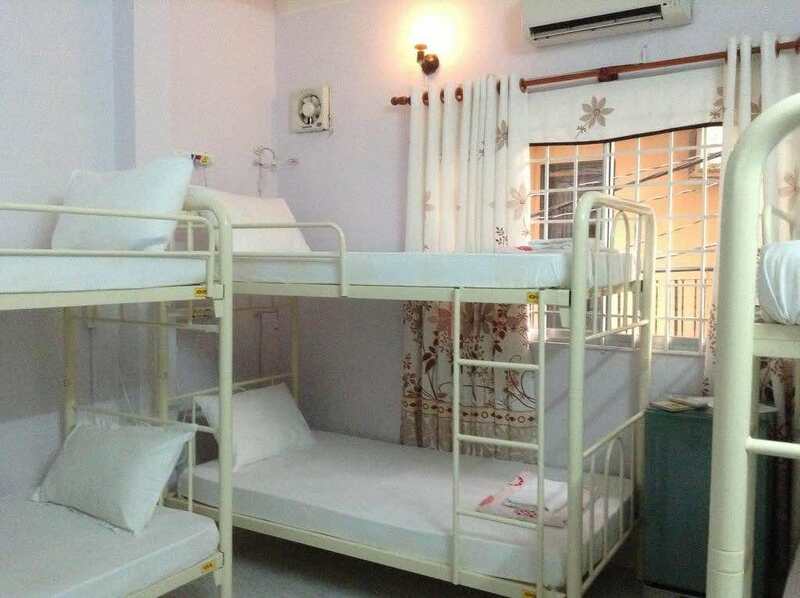 Although it has a little taste of design and lack of a communal room area, it is one of the hostel having high ranking on some hostel online booking sites and it is always full of visitors. The two bottle of beers and breakfast are included in the price. Add: 373/10 Pham Ngu Lao, District 1, HCMC. 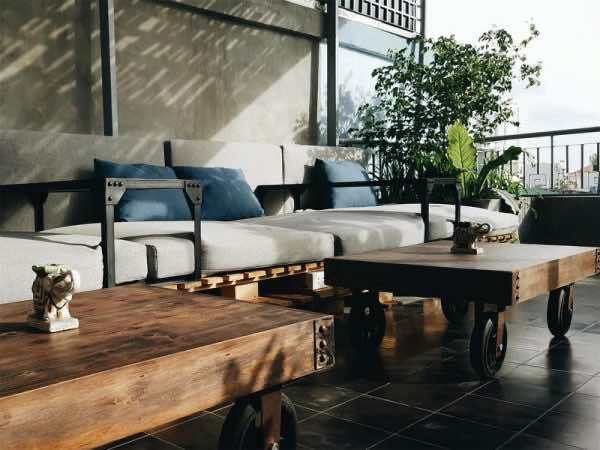 This hostel is a combination of a hostel and a bar operated by a group of local designers who are interested in sharing their own stories of Saigon. 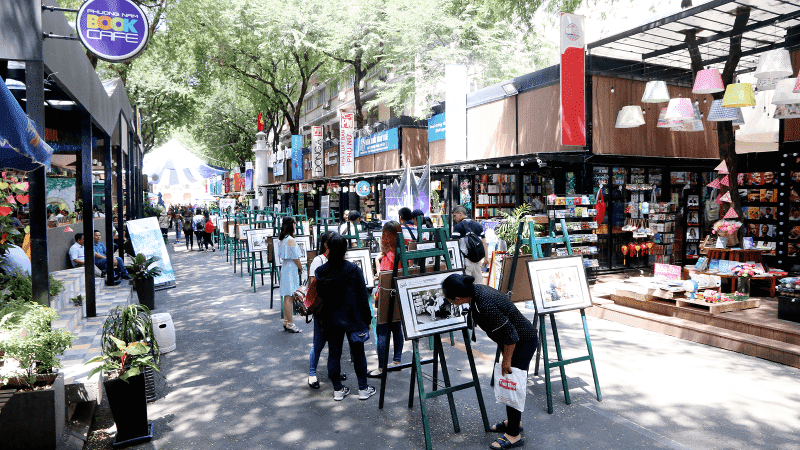 It is located in the heart of city center, is just some steps to some most landmarks of Ho Chi Minh City like Ben Thanh Market, Fine Art Museum, Backpacker District. 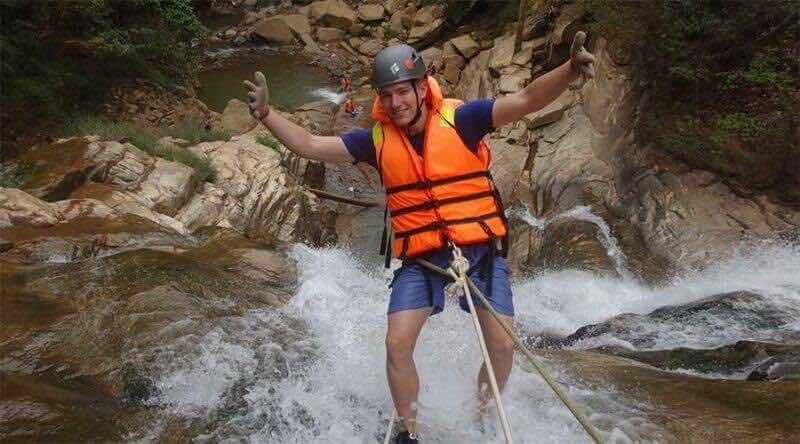 If you want to have a better understanding about the local life and seek for local experience, learn about Vietnamese street food, Sigoong Hostel will meet your requirements. It offers more than just a place to live. Especially, there is a massive-green communal rooftop kitchen suiting for travelers to cook and celebrate party with their new friends on the journey. Add: 92 De Tham Street, Cau Ong Lanh Ward, District 1, HCMC. If you do not want to accommodate in the mecca of tourists, you should choose Skygon Hostel housing in the residential area in District 4, 600 metres from Nha Rong Wharf. Some rooms offer views of the city and Saigon River. 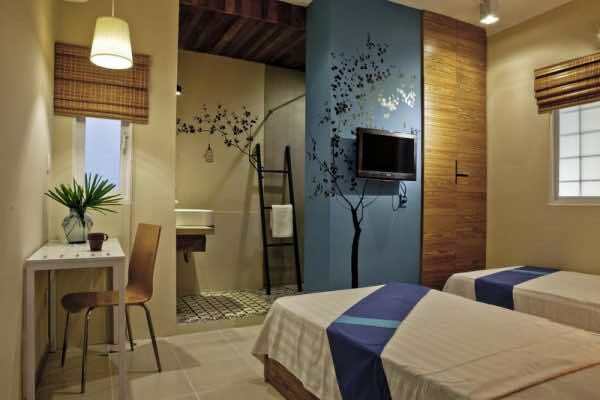 Guests can benefit from the free services such as laundry, bottled mineral water, parking. Some units include a seating area where you can relax. Add: Apt 12B1 Copac Square, 12 Ton Dan, District 4, HCMC. A trendy, newly renovated hotel located at the heart of Ho Chi Minh. 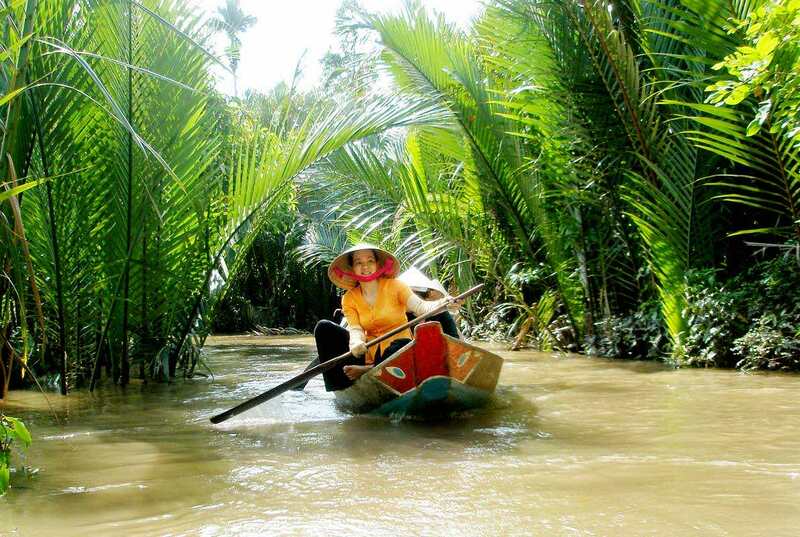 It is also a perfect choice for budget-savvy travelers on the mission to explore the best of the ‘Southern Capital’ of Vietnam. This comfy accommodation is packed with entertaining facilities available just a few steps away from our outdoor, especially the amazing top roof bar Zuma having fantastic view of the city’s night life and the cozy and a relaxing coffee at the ground floor. 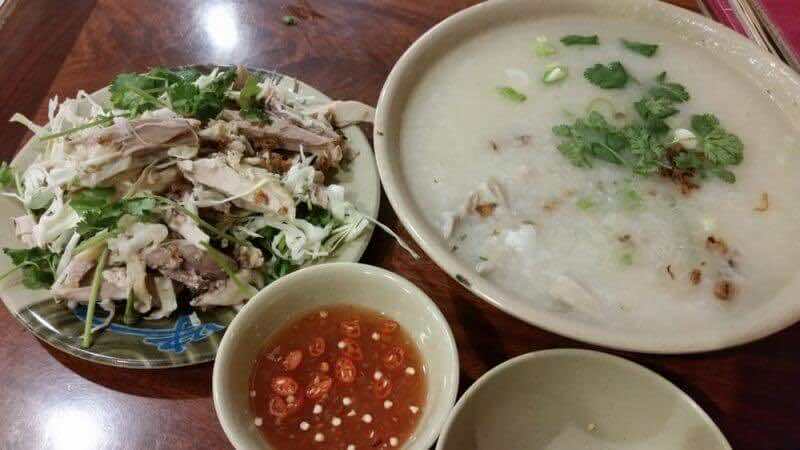 Add: 67 Ham Nghi, Nguyen Thai Binh Ward, District 1, HCMC. If you are the ones who want to escape from the hustle and bustle of the city, this hostel is not suitable for you. This is a super social party hostel featuring an entertainment building. A jungle theme rooftop bar and a party/games bar downstairs. All the rooms come with comfy strong metals beds, private shower/toilet facilities and lockers for the belongings. The chill out room has mega comfy bean bags/sofas and a 50”TV with hundreds of new and old movies. Add: 281 Pham Ngu Lao, District 1, HCMC. 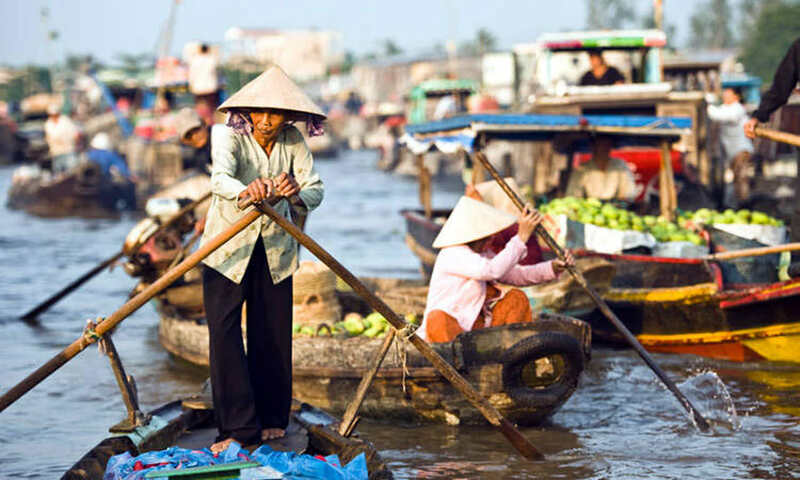 New Saigon Hostel 2 provides quick access to everything Ho Chi Minh City has to offer. It creates perfect conditions for most level-headed travelers on a budget. 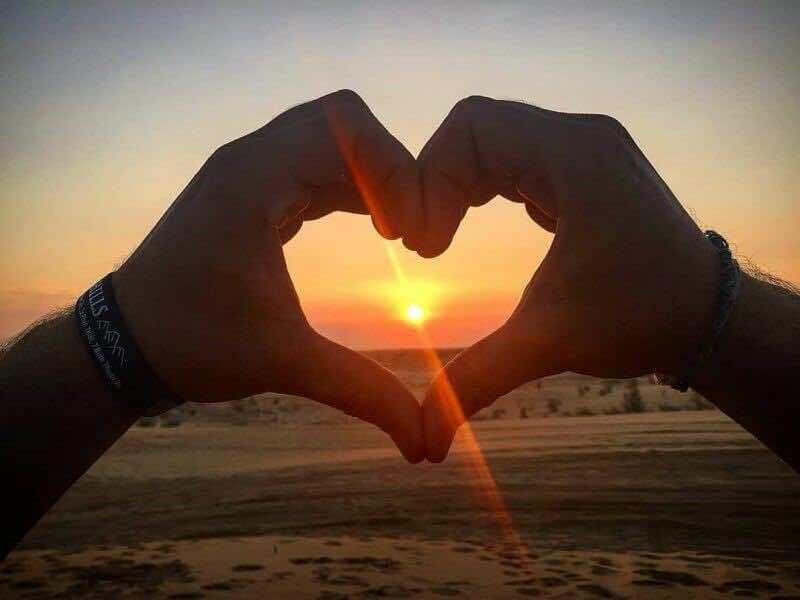 This hostel offers a mix of 8-bed mixed dorm and standard double room having individual climate control, a telephone, a minibar, cable TV and IDD telephone for guests’ convenience. 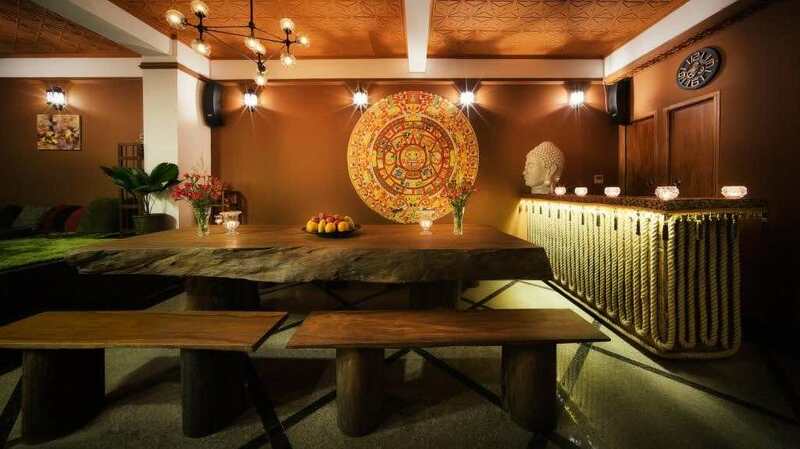 Its location is around a multitude of cafes and restaurants, travel agents. Add: 373/16 Pham Ngu Lao, District 1, HCMC. 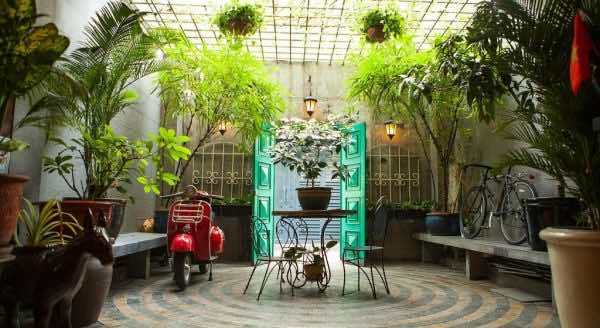 The city’s boutique hostel scene is decorated with dark woods, a wide range of elegant stencils, old colonial tiles with bright colors, blue interiors. It offers a wide variety of rooms ranging different prices such as Superior Double Room, Superior Twin Room, Superior Triple Room, Deluxe Double Room, Bed Female Dormitory, Bed Mixed Dormitory. Add: 50E Bui Thi Xuan, Ben Thanh Ward, District 1, HCMC. If staying in a hostel sounds like it is just not for you, try to have an open mind. Even with the lack of privacy, you can learn a lot by staying in a hostel. If fact, you will have a richer traveling experience by meting people from around the globe, and you will save money at the same time. Consider staying at a hostel the next time you travel internationally.